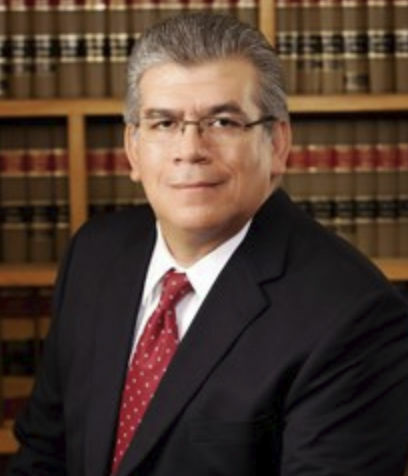 RIO GRANDE CITY — Attorney and former Mayor Baldemar “Balde” Garza has now set his sights on becoming the next presiding judge of the 229th state District Court. Born in nearby La Puerta, Garza grew up in Rio Grande City and served as mayor from 1996 to 2004. Garza has worked as an attorney, a general practitioner, for 31 years. He went to college at Sul Ross State University in Alpine, Texas, and it was there that a friend convinced him to look into a law career. Until then, he had always wanted be a coach. As an All-State football player, the sport is his passion and if he weren’t a lawyer, he said, he’d be coaching football. Getting into law was almost an accident, he said. In high school, he never imagined going to college, let alone become a lawyer. He went on to earn his law degree from Thurgood Marshall School of Law in Houston and in 1996, served as chairman of the Young Lawyers Association board of directors. It was around that time that he became mayor and now Garza is seeking public office once again. He will be running against former assistant district attorney Martie Garcia-Vela for the 229th district judge in the Democratic primary in March. Earlier this year former District Judge Ana Lisa Garza stepped down from the bench to run for another office. As a lawyer, he hopes to inspire students who don’t exactly make the honor roll and perhaps don’t see college in their future to reconsider and think about pursuing higher education. He takes particular interest in the success of those students because he didn’t have the best grades in school and wants to show them what they can accomplish if they have a strong work ethic which he considers his greatest strength. Garza said he abided by a philosophy which he attributed to Bill Bradley, a former senator from New Jersey. The 229th District Court court presides over Duval, Hamilton, Jim Hogg and Starr counties.